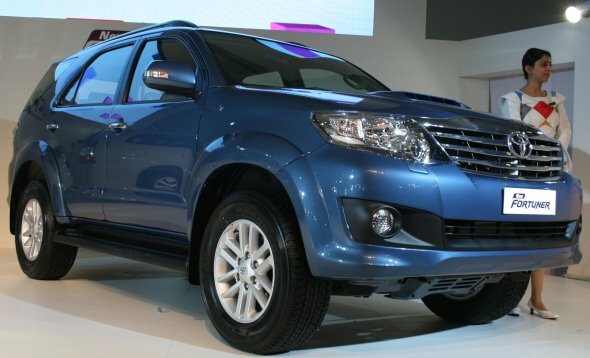 New Toyota Fortuner photo gallery! 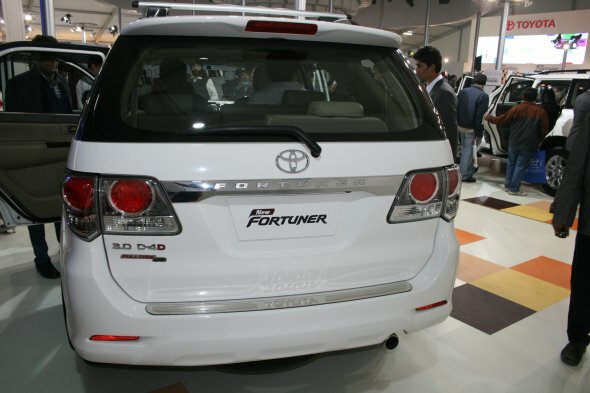 Toyota launched the facelifted Fortuner at the 11th Auto Expo in New Delhi. The new Fortuner is available in 2WD variant in both five-speed manual transmission and four-speed automatic transmission variants. 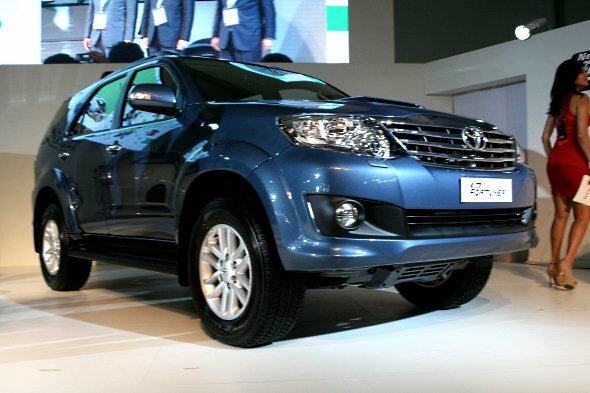 The facelifted Fortuner is priced in the range of Rs. 19.99 lakh – 20.99 lakh. The Fortuner gets a Land Cruiser like chrome-rich grille, headlamp washers and all new self-leveling headlamp clusters with HID lights. The fog lamps are bolder and slightly protruding while the bonnet gets large air scoop. The side profile reveals a new 12-spoke alloy wheel design and turn indicators on ORVMs with electric folding feature. 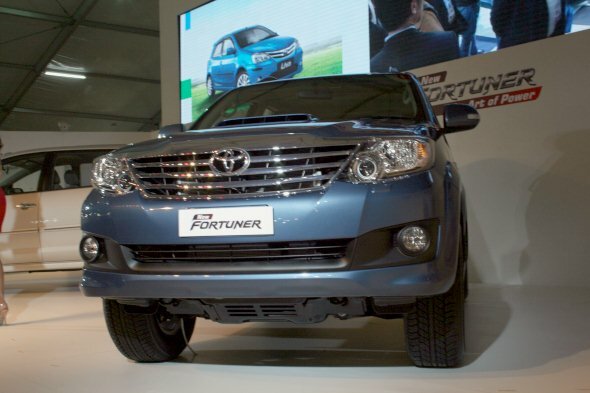 There are subtle changes in the wheel fender that enhances the new Fortuner bulk appeal. The taillamps gets clear lens treatment and visually very attractive. The thick chrome strip with ‘Fortuner’ embossment gives it a premium look. The interiors of the new Fortuner have new faux wood inserts (dark grey shade) on the steering wheel, central console and on door handles. 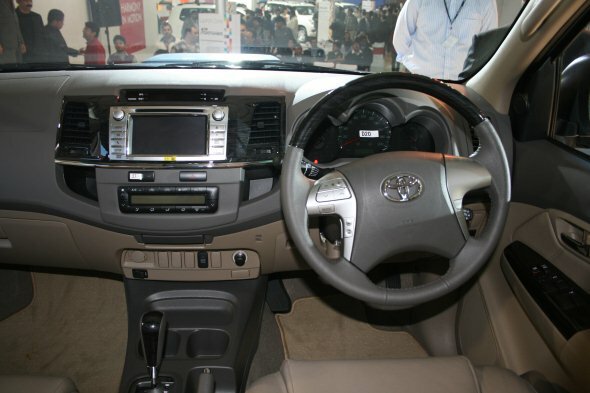 The infotainment system includes DVD, touch screen display, Bluetooth connectivity and reverse camera. The Fortuner is available in three variants: the 2WD manual priced at Rs. 19.99 lakh, the 2WD automatic priced at Rs. 20.69 lakh and the 4WD manual priced at Rs. 20.99 lakh. « Stunning cars at Auto Expo 2012: Video Roundup!